Good morning! Get started with Nescafe & win prizes up to €20,000! Millennials see each day as an invitation to try or start something new. Mornings in particular are moments of the day that are full of opportunities. Moments where Millennials start something or think about starting. It’s either simple projects they’ve always wanted to do or ambitious dreams. 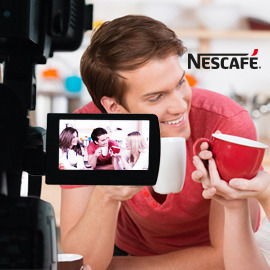 Can you create very fun content for NESCAFÉ, the most famous coffee brand - videos that tell this kind of stories? Create an engaging, modern and humorous video or animation that shows someone welcoming the morning as a great opportunity to start something new! Format: Videos or animations 30-45 sec.